In The Fine Art of Cabinetmaking, Krenov addresses perfecting technique and building to the limits of one’s skill, while providing in-depth instruction for mastering the craft of cabinetmaking. 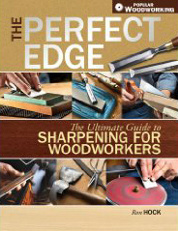 A collection of topics, including the proper way to sharpen and hone tools, techniques of hollow grinding and obtaining proper grinding angles, are detailed in this comprehensive sourcebook. Lessons devoted to using and understanding common and exotic woods, how to read grain, as well as the pros and cons of working with air-dried wood versus kiln-dried wood will educate any level of woodworker. Chapters devoted to re-sawing and problems with moisture content and wood movement are also included.